Here we are again, Tax Time. Computer Repair is vital BEFORE Tax time. A well running computer eases you through the chore of Tax returns. 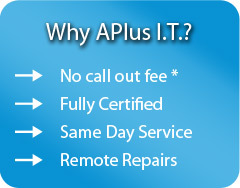 We certainly understand the need for speedy computer repairs for small business and private use. Pop in and speak with one of our helpful team.